Stocks are flattish despite the continued rout in emerging markets. Bonds and MBS are down small. Lots of labor market data this morning. Initial Jobless Claims fell to 203,000, which is the lowest level since late 1969. That said, job cut announcements did pick up, according to the Challenger and Gray job cut report. Productivity came in at 2.9% in the second quarter, according to BLS. This was driven by a 5% increase in output and a 2% increase in hours worked. Unit Labor costs fell 1% as compensation increased 1.9% and productivity increased 2.9%. The jump in productivity is important, not only because it generally portends higher wages, but because it portends non-inflationary wage inflation, which will allow the Fed to continue on its slow interest rate hike path. The WH says that wages are growing faster than traditional measures would indicate. The Administration is saying that real wage growth is in the 1.4% to 1.9% range. According to BLS, nominal (non-inflation adjusted) wage growth has been around 2.7%, and with the CPI running at 2.9%, that would imply slightly negative wage growth. What is the difference? First of all compensation includes more than simply wages. It also includes benefits and health care costs have been increasing at well above the rate of inflation. This is a valid (albeit unsatisfying) point. Second, a lot depends on which inflation index one uses. The Personal Consumption Expenditure Index is the one preferred by the Fed and it generally runs slower than the CPI. This is due to a number of reasons, but the primary one is that the PCE takes into account the substitution effect and CPI doesn’t. In other words, the CPI assumes that people’s behavior doesn’t change when presented with increased prices, while the PCE assumes that people will consume less high priced goods and consume more low-priced goods. The classic example of this is that when meat prices rise, people eat more vegetables. Another difference is that PCE looks at costs from the business sense more than CPI does. This is important in wages, because the cost of an employee to an employer is more than just the paycheck. 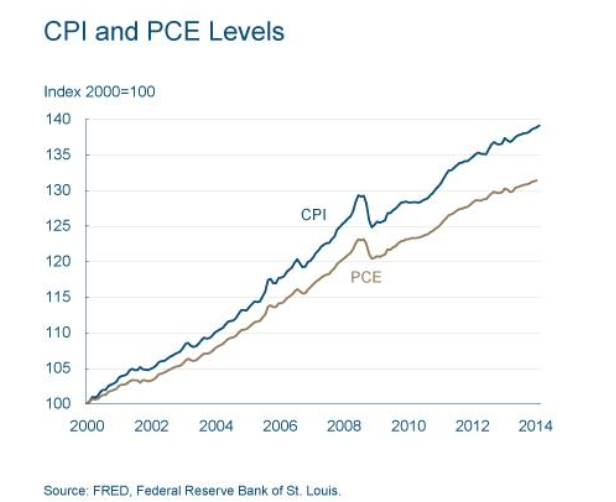 CPI generally ignores this, while PCE takes it into account. Punch line is that partisans are going to cherry pick the inflation index they want in order to push their interpretation of events. Left econ wants to push the narrative that wages are going nowhere and the headline CPI number gets them there. Right econ / the Admin will prefer to use PCE, which shows real wage growth. 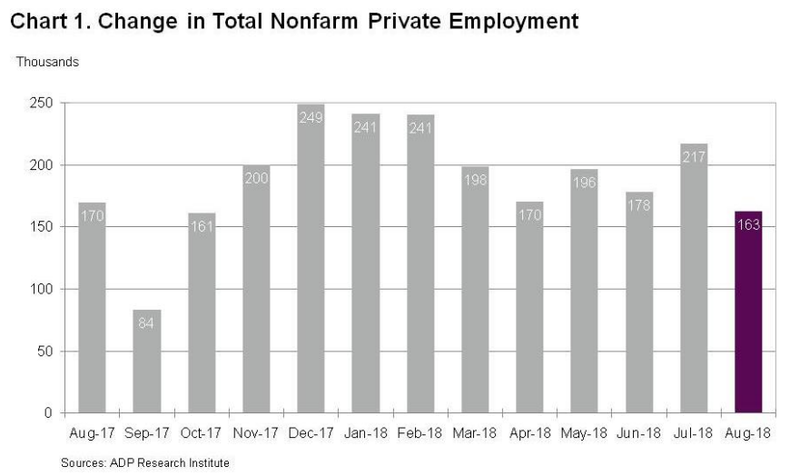 Left econ is trying to use slow wage growth to push a theory that employers are exhibiting monopsonistic behavior and the remedy is for the government to break up big employers. Monopsonistic behavior implies that there is only one buyer for something (the classic example is the government and defense technology). Left econ thinks the labor market is a lot more concentrated than common sense would suggest. Their conclusion is that the average worker has only 3 companies to choose from which is hard to accept. Trump administration officials are denying they wrote an anonymous op-ed published in the New York Times that describes cabinet members trying to steer a mercurial executive to do the right things and to blunt his worst impulses. There has been plenty of evidence that has been the case already, especially on trade. Regardless, it just seems to be the latest in the war between Trump and the press, and the markets don’t seem to care. On the trade front, today is the deadline for public comment on some $200 billion in new tariffs on Chinese goods. Trump is expected to impose these tariffs once the period is over. He also made comments regarding NAFTA and Canada, saying there has been progress on the issue.